On-site manufacturing engineers enable us to respond quickly to your changing requirements, or to any issues that arise in the production stream. As a member of the University of Wisconsin Center for Quick Response Manufacturing, we have the resources to continuously improve every facet of our manufacturing process. Our active Continuous Improvement Program streamlines our operation to improve efficiency (and save you money). 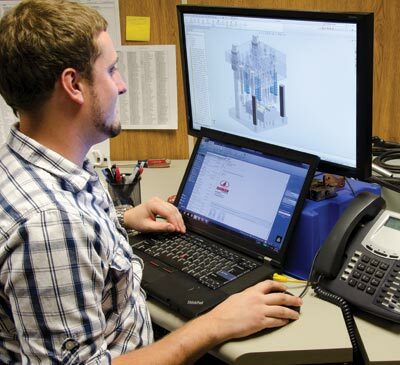 Our team of design engineers provides imaginative solutions at any level—bring in your next big idea and they'll run with it, or let them solve your minor design problem.